Just when you think you know Amazon, the company goes and changes everything. 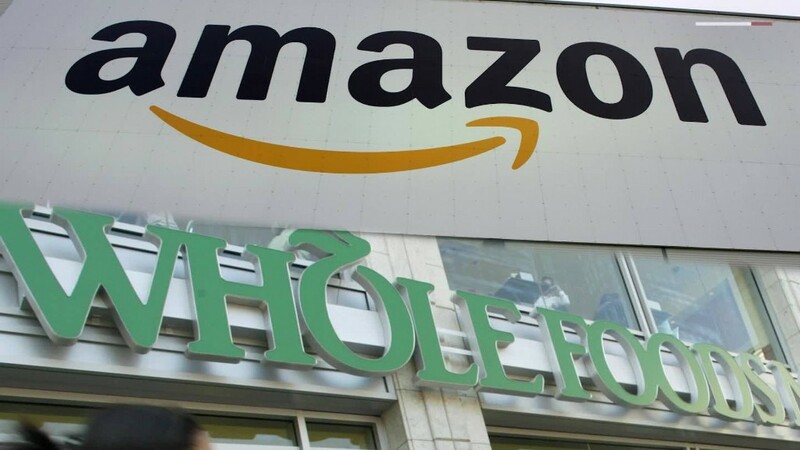 Amazon (AMZN) shook the retail world Friday with news that it has agreed to buy Whole Foods (WFM) for $13.7 billion. The deal instantly upended the supermarket industry and transformed the e-commerce company into a bricks-and-mortar giant. You could almost hear the jaws drop on Wall Street. But those who've worked at Amazon or followed the company closely over the years were less surprised. The reason: It's classic Jeff Bezos. "Jeff is crazy -- crazy like a fox," says Nadia Shouraboura, a former Amazon executive who left the company in 2012. "He has a very clear vision and design." The core vision is essentially to transform the entire retail industry -- one sector at a time. It may have started with books, but Amazon sells its own line of clothing, has experimented with hotel booking and offers grocery deliveries through Amazon Fresh. "Customers don't enjoy lugging large shopping carts down long supermarket aisles, but they enjoy picking quality meats and vegetables," says Shouraboura, who worked on Bezos' senior leadership team and helped oversee Amazon's global supply chain. "By combining the best of bricks and mortar experiences with the efficiency of great technology, supermarkets will be transformed." Investors quickly recognized Bezos' brilliance with the deal. Amazon stock jumped 3% in early trading Friday, which is unusual for businesses announcing pricey acquisitions. At the same time, stocks for its retail and grocery competitors tanked. "This is a great strategic move," says Michael Pachter, an analyst with Wedbush, noting its potential to expand Amazon's grocery delivery capability twentyfold. He added that Bezos is "the smartest in any business." Bezos has earned that title. Most who compete directly with him get left in the dust. Borders shut down. Barnes & Noble (BKS) continues to struggle. Walmart (WMT) effectively spent $3 billion to bring on a former Amazon exec to help it compete online. Even his tech peers now find themselves playing catchup. Google (GOOGL) and Apple (AAPL) are both trying to copy the success Amazon found with the Echo smart speaker. Microsoft (MSFT) and Google are also trying to build up cloud services to rival Amazon Web Services, its wildly lucrative business. "Jeff is a mix of relentless, creative, disciplined, multifaceted and audacious in size of his vision. And he has been able to apply this capacity across multiple large categories simultaneously," says Sukhinder Singh Cassidy, who worked at Amazon in the early years. "Its what makes him able to buy Whole Foods at the same time he is reimagining content creation and delivery wholesale," she adds. And it's why "the world [is] able to believe that Amazon uniquely can do both." 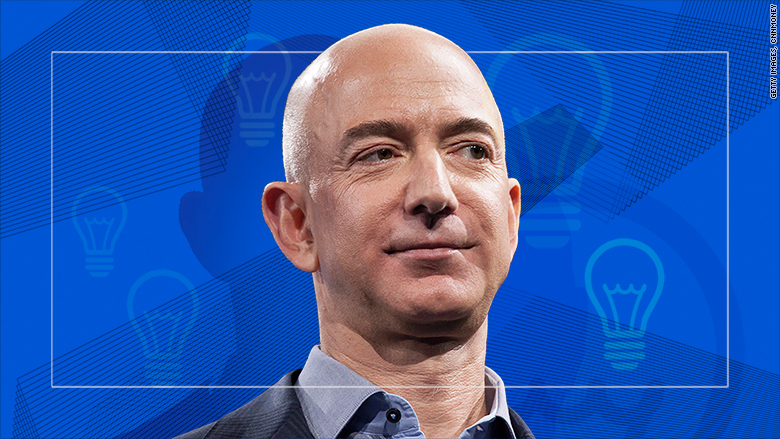 With his billions, Bezos has proven his business acumen goes beyond retail. He acquired The Washington Post for $250 million in 2013. The paper is now profitable, growing staff and recently topped one billion monthly page views -- all at a difficult time for the media industry. And in his spare time, he's building an aerospace company called Blue Origin.